The environment and team-based approach at Cancer Treatment Centers of America® are conducive to healing for patients with cancer. Dr. George Macrinici joined Cancer Treatment Centers of America ® (CTCA), Chicago, in July 2018 as a Pain Management Specialist. At CTCA®, Dr. Macrinici focuses on pain management for patients coping with all types of cancers and pain. He treats both acute and chronic pain, and specializes in surgery-related pain management. Dr. Macrinici also seeks out opportunities to learn about advances in pain management, including neuromodulation technologies. “My goal is to improve quality of life through expanded access to new treatments,” he says. 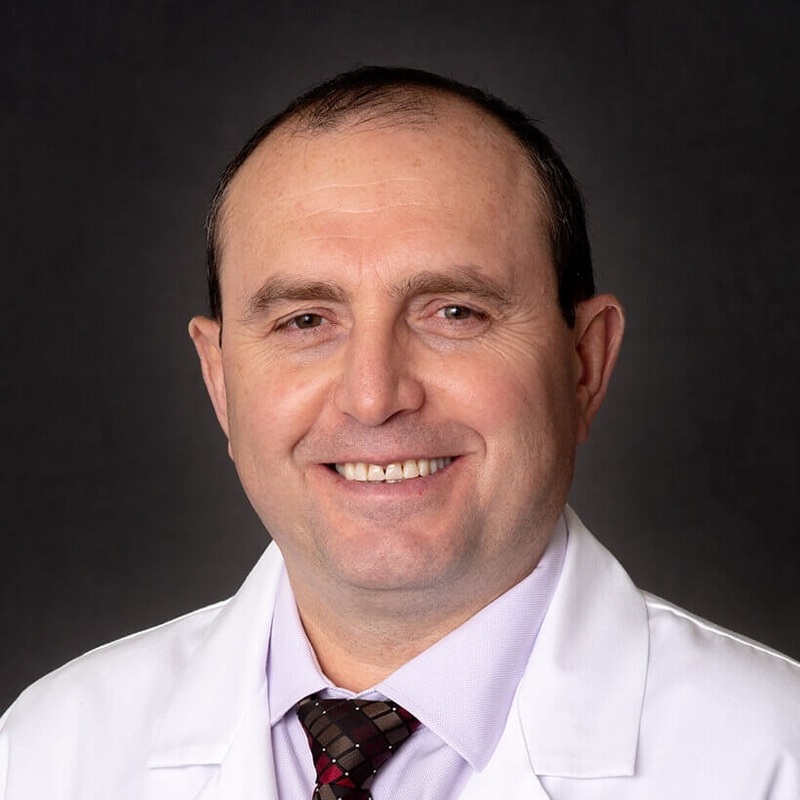 After earning his medical degree from Nicolae Testemiţanu State University of Medicine and Pharmacy in Chișinău, Moldova, Dr. Macrinici completed an internship and fellowship in Moldova. He then moved to the United States, completing an anesthesiology residency at the University of Kentucky Medical Center in Lexington, Kentucky, followed by a spinal cord injury fellowship at CWRU/Metro Health in Cleveland, Ohio, and a pain management fellowship at Stroger Hospital, Cook County in Chicago, Illinois. Dr. Macrinici is board certified in pain medicine by the American Board of Anesthesiology. He has published a myriad of peer-reviewed articles and abstracts. His research interests include treatment of chronic pain, cancer pain, neuropathic pain therapies, neuromodulation and its application in clinical practice. Dr. Macrinici is a member of several professional societies, including the American Society of Anesthesiology, the American Society of Regional Anesthesia and Pain Medicine, and the American Spine Injury Association. He is also a member of the North American Neuromodulation Society (NANS), and was awarded the prestigious NANS Fellow title in January 2018. When he isn’t practicing medicine, Dr. Macrinici enjoys hiking, biking and reading. He also likes spending time with his wife, Val, and two sons.